Injuries of any kind can be stressful, but injuries that happen in the workplace – the place where so many of us spend most of our waking hours – it is essential to get help for the road to recovery. Part of that help is retaining the services of attorneys knowledgeable in the nuances of complex New Jersey workers compensation laws. Workers compensation is a form of insurance providing wage replacement and medical benefits to employees injured in the course of employment in exchange for mandatory relinquishment of the employee’s right to sue his or her employer for the tort of negligence. What does this mean in simpler terms? It means that you have a right to compensation for injuries sustained while on the job. Is New Jersey A No-Fault State For Workers Compensation? New Jersey is a no-fault state, which means you can receive Workers Compensation benefits no matter who was at fault for your injury. Employers can also be held accountable for a failure to address dangerous conditions which have led to a chronic injury, condition or disease such as respiratory ailments, and repetitive motion injuries, among others. It’s likely that you don’t have the mindset to deal with protracted legal issues surrounding your workplace injury on your own – and you shouldn’t have to. Having a competent, compassionate advocate in your corner to address the financial needs arising from your injury, will allow you to focus your energy on your recovery. Depending on your individual circumstances, you may be entitled to recovery of lost wages, medical expenses, and/or vocational rehabilitation. A New Jersey Workers Compensation Lawyer at Birkhold & Maider, LLC, based in Nutley, serve injured parties and their families in many townships and jurisdictions across New Jersey including Newark, Belleville, Paterson, Clifton, Passaic, East Orange, Bloomfield, Nutley and other townships in Essex, Passaic, Bergen, Union, and Middlesex Counties, and beyond. 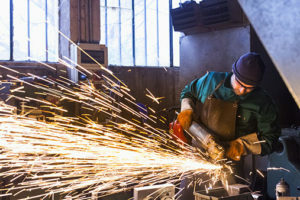 A Workers Compensation Lawyer will represent clients in jurisdictions across the state of New Jersey including, but not limited to, Essex county superior court, Passaic county superior court, Bergen county superior court, Union county superior court, and Middlesex County superior court, among others. Contact us for more information on the areas we serve. We are passionate advocates for the rights of workers to work in safe spaces, and will aggressively and effectively represent your best interests either in negotiations or at trial. Our goal is to get fair and comprehensive results for our injured clients. Don’t leave potential help on the table! A Workers Compensation Lawyer at Birkhold & Maider, LLC will represent injured parties in Workers Compensation cases in Essex County, Passaic County, Bergen County, Union County, and Middlesex County and elsewhere around the state of New Jersey. Employers have legal counsel on their side, and you should too!